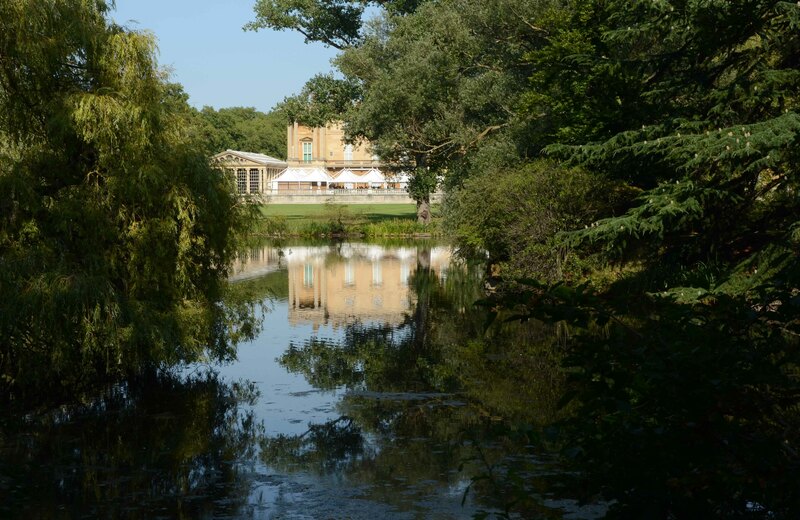 Buckingham Palace, tea at the Savoy and the National Trust? Spent a magical day in London today with my mum and Caroline. 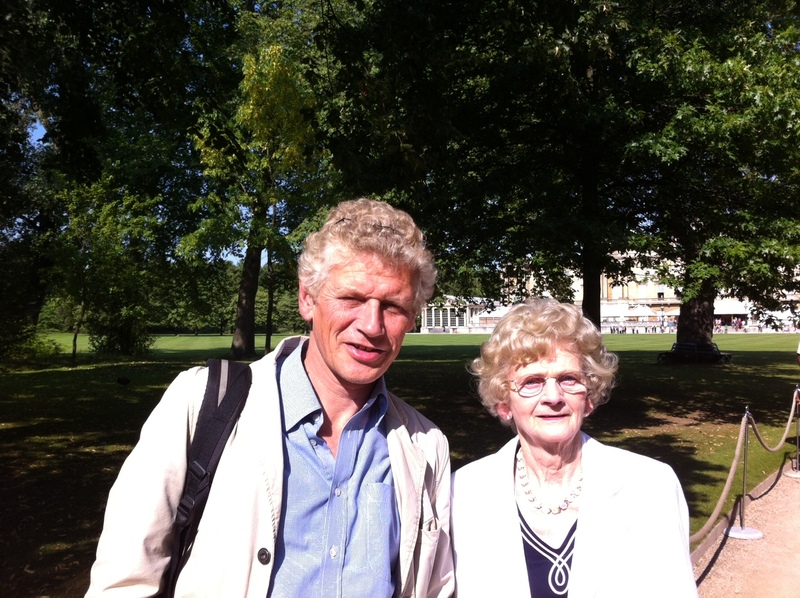 We visited Buckingham Palace and then went on for afternoon tea at the Savoy – a real treat in the late summer sunshine. So other than a great day out as a tourist in London – is there anything that the National Trust can learn from our experiences? I guess that Buckingham Palace is the most iconic Georgian House in the world – I have passed it hundreds of times and indeed ran past it when I finished the London Marathon in 2001 – but I have never been inside. Upon entry (we had booked the tickets in advance) we were met with airport style security with both my mum and Caroline having to open their bags and empty the contents! All done with humour and good grace and we were admitted. We were then given audio trail equipment to guide us round. In the National Trust we appear to have gone away from this technology relying on our volunteer room guides to talk visitors through the experiences. The Buckingham Palace audio trail was very good and I certainly enjoyed having it and found it simple to use. 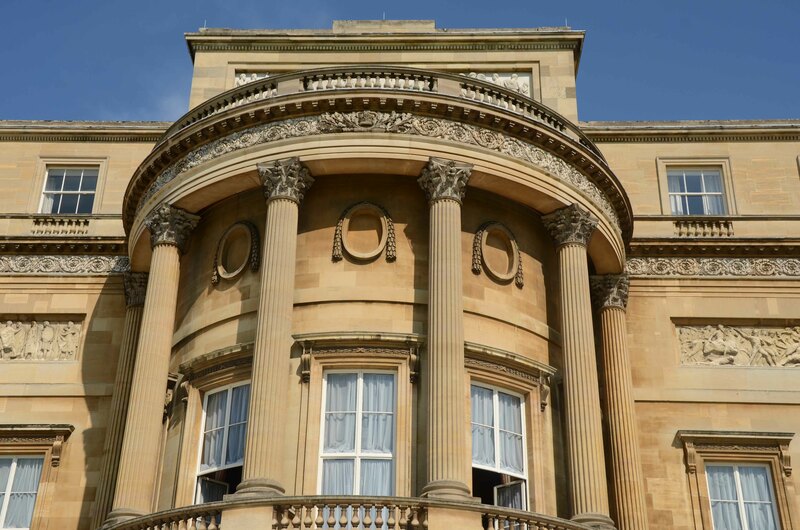 Lots of detail on the development of the Palace, the contents and its current context. 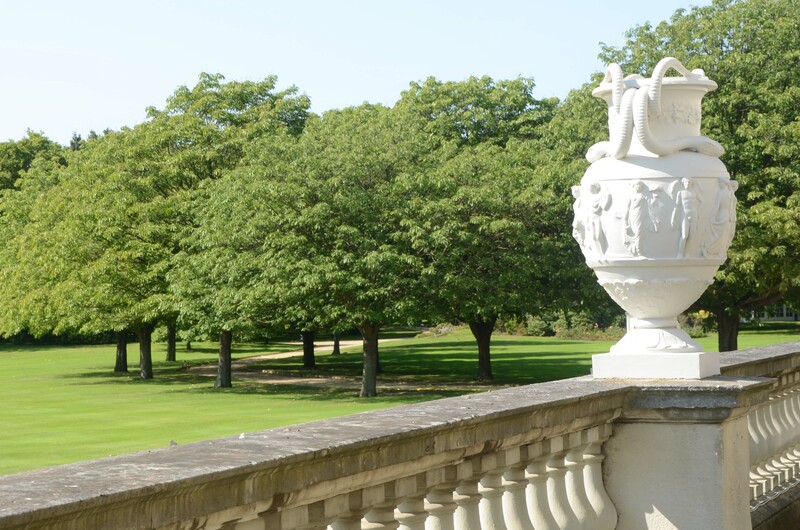 Knowing that the Palace is a ‘working’ Palace and is used as such every day brought the place to life. I was also really struck by the fact that all the rooms very bathed in full sunshine and all of the paintings and other items were bright and in pristine condition. This seemed ironic …. in the National Trust we have strict lighting regimes and often our contents seem dark and ‘in need of cleaning’. I am no conservator or curator but the comparison was stark. The audio made the point that as this was a working place the ‘normal’ conservation measures were not in place – so how come everything looked so fabulous? On the downside – unlike National Trust properties photography was not permitted – boo – thus no photos in this section. You can get a flavour here though! There was also a special exhibition on diamonds and crowns etc. Fabulous and opulent but so so busy and so so slow to get around. This was despite the laudable efforts of the matron-like lady telling everyone to keep moving along and stop people pushing in. Must be said that despite our snail like progress here my mum absolutely loved it. A great experience – indeed a unique one perhaps as one would expect from Buckingham Palace but I think ‘our’ Room Guides provide a more personable and friendly experience even if the lighting is a bit lower! I liked how the modern use of the Palace was very much part of the visitor story and I think we can perhaps include more of our modern stories as part of our visitor experience. Once through the Palace you go out and can view (and photograph) the garden and back of the Palace. You can’t visit the gardens however per se. From the Palace we took a taxi to the Savoy in the Strand for afternoon tea. 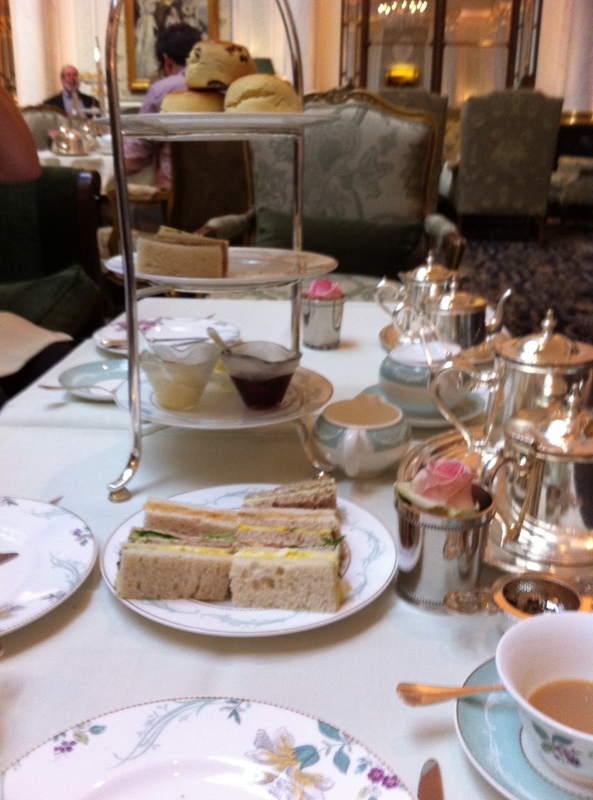 I hadn’t experienced ‘London’ Afternoon Tea before (only used to National Trust tea and cake). Well this was something else – a full meal in itself – 4 courses accompanied by lots and lots of tea (31 different types to choose from!). Square cut sandwiches; scones, cream and jam; French pastries and finally cake! You are served in awesome style and indeed you can eat as much (or as little) as you like – all accompanied by a pianist. See here for a Savoy video. So – the National Trust does afternoon tea and cakes – I am wondering now whether we ought to also be offering a ‘National Trust Traditional Afternoon Tea’ – watch this space! 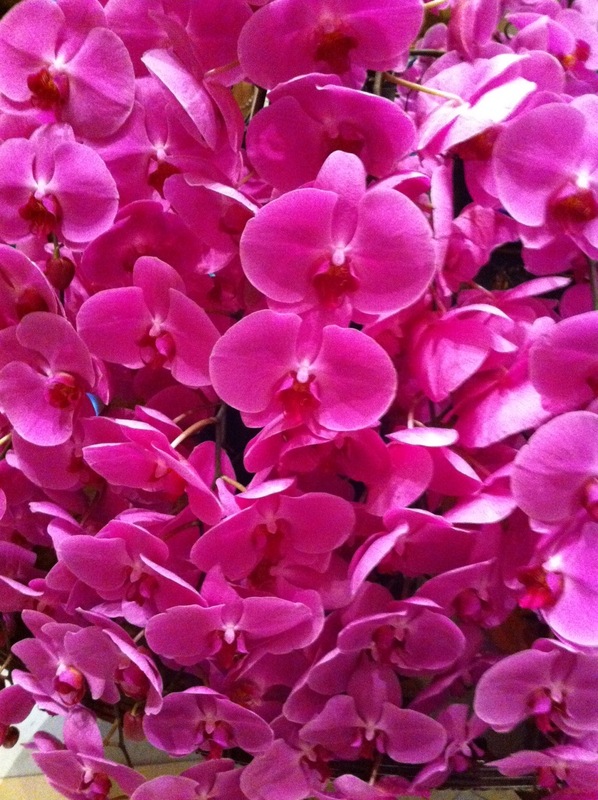 The other thing that really struck us were the amazing orchids. Lest there be a misunderstanding – this was a very, very special day for us – a once in a life time experience and not something we do everyday in case you were wondering! Thanks to Caroline for the idea and for organising!